The Mexican and peri-peri chicken flatbreads that The Blue Plate serves are simply to die for! 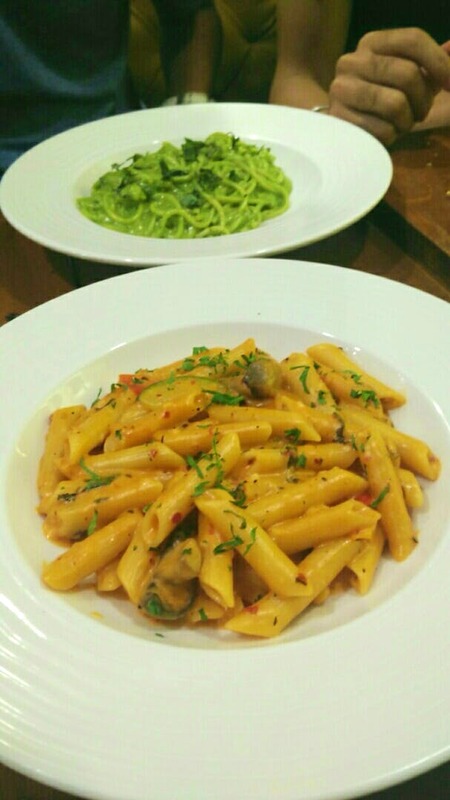 If you are a pasta lover, you need to try the creamy pesto pasta and the pink sauce pasta. Also, their blueberry custard is awesome. Overall this place serves an amazing meal and the soft music and wooden decor is like a cherry on the cake. Plus, a meal here for two people would pinch the pocket for about INR 600. This spot can accommodate around 20-25 people only. So make sure to book a table, if visiting this place on a weekend!